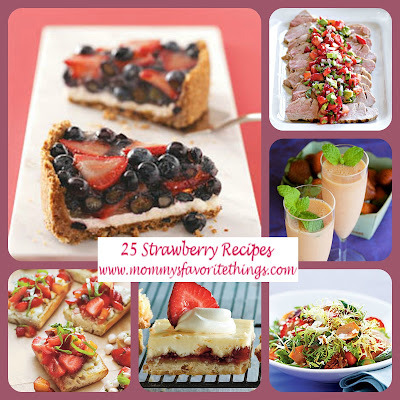 Mommy's Favorite Things: 25 Strawberry Recipes! So, it's summer!! It's definitely strawberry season. If you go picking like we do, I'm sure you have plenty of Strawberries left over and you're wondering what to do with them. Well here's some ideas for those extras and even throughout the year when you want a treat.